A Johns Hopkins University geologist has won the prestigious Young Scientist Award from the Geological Society of America for the contributions she has made to the understanding of the environments of early humans in Africa. 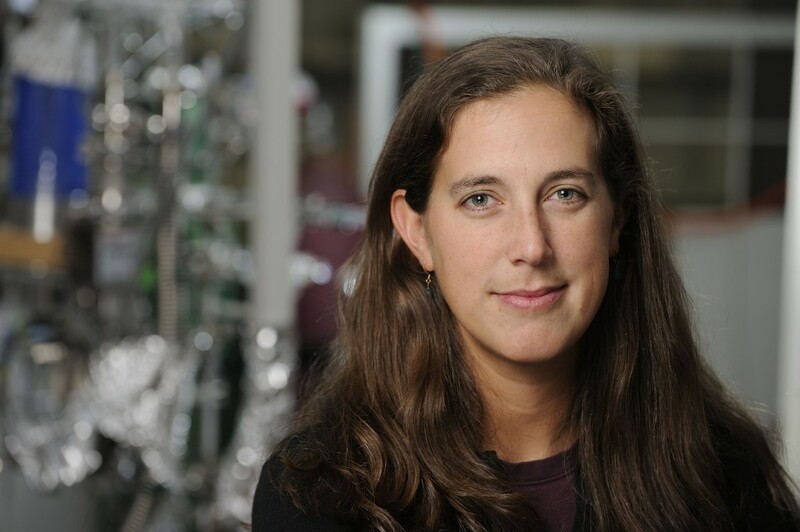 Naomi Levin, an assistant professor, will receive her award at the geological society’s 125th anniversary conference in Denver on October 29. The award, also known as the Donath Medal, is given to a researcher for outstanding achievement in contributions to geological knowledge through original research that marks a major advance in the earth sciences. The honor comes with a $10,000 cash prize. Thomas Haine, chair of Earth and Planetary Sciences, said Levin is most deserving of the award. Levin, a faculty member since 2009, will participate in the association’s tradition of award winners giving a presentation to fellow conference attendees discussing highlights from their careers. “I don’t have a long career to reflect on so I will likely use the lecture as an opportunity to acknowledge my colleagues and advisors, talk a bit about my active research, and discuss the aspects of science that I find most satisfying,” Levin said. She added that she will speak about the work she has done in collaboration with creative and energetic people while exploring both the lab and the field. Levin’s new honor is the second one she’s received from the geological society. In 2011, she was awarded the Subaru Outstanding Woman in Science Award in recognition of the work she has conducted in the field of the geosciences. Levin’s research centers on understanding how landscapes and terrestrial organisms respond to past climate change. She uses a combination of sedimentary geology and isotope geochemistry to study interactions between mammals, vegetation and climate in past ecosystems with a focus on early hominids in East Africa. In 2012, Levin was part of a research team that discovered a partial foot skeleton with characteristics inconsistent with those of Lucy, the human ancestor known to inhabit northern African 3 to 4 million years ago. In fact, the foot, the team said, belonged to a hominin species that overlaps in age with Lucy. Levin explained that the discovery of the partial foot should shed light on how our ancestors learned to walk upright. In 2010, Levin and a team of researchers found that early hominids living in what is now northern Kenya ate a wider variety of foods including fish, turtles and crocodiles and the protein-rich foods may have played a key role in the development of a larger, more human-like brain in our early forebears. Levin served as a main geologist on the team, which included scientists from the United States. South Africa, Kenya, Australia and the United Kingdom. The Geological Society of America, founded in 1888, is a scientific society with more than 25,000 members from academia, government and industry in more than 100 countries.